High volume platform for the production, purification and analysis of your peptide libraries. 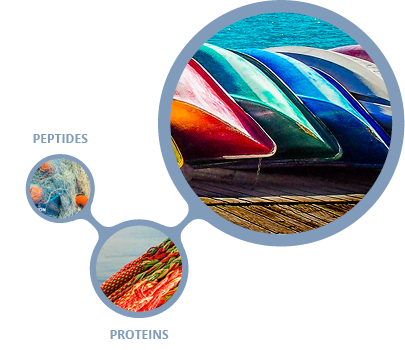 Peptide Libraries are great tool for multiple applications in many biological fields. They provide easy and cost-effective access to big number of synthetic peptides for a broad range of screening purposes. They are broadly used in drug discovery, immunotherapy and proteomics. GENEPEP specializes in the synthesis of purified Peptide Libraries. We propose either “ready to buy” Catalog Peptide Libraries or Custom Peptide Libraries specifically tailored to client specifications. Peptide Libraries synthesized at GENEPEP are synthesized by parallel or combinatorial approach and consist from 100 to 10 000 or more compounds with purities over 90%. Peptide Libraries can also offer access to new families of peptidic compounds not yet present on the market therefore creating opportunities for discovery of new proprietary compounds. If you need specific peptide modifications please contact us to discuss custom modifications.